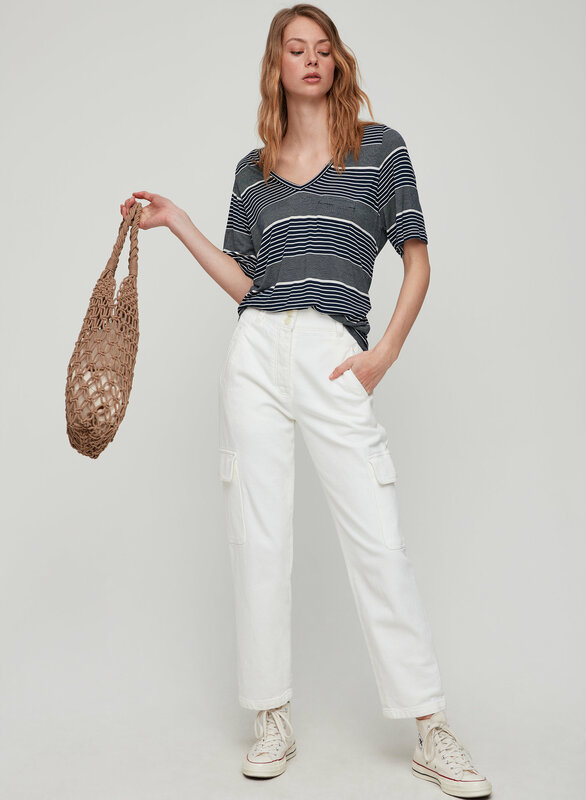 Styled with kaleo tote and mila pant . 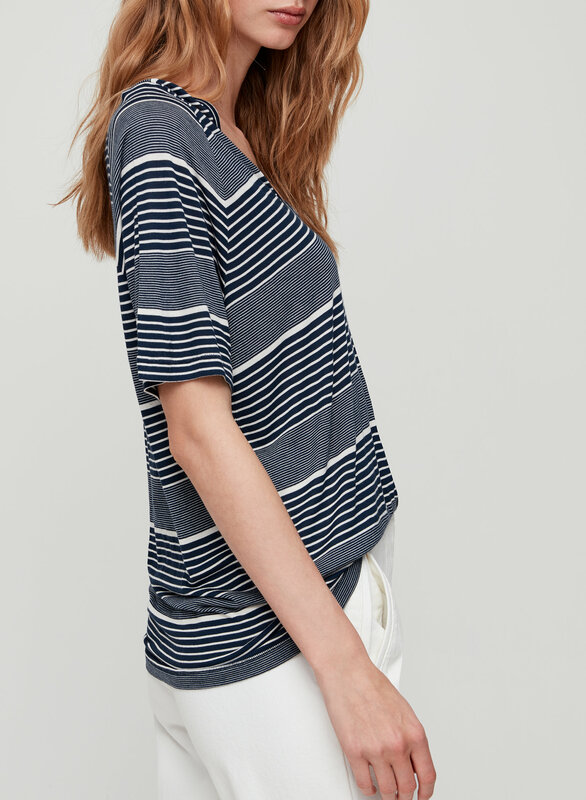 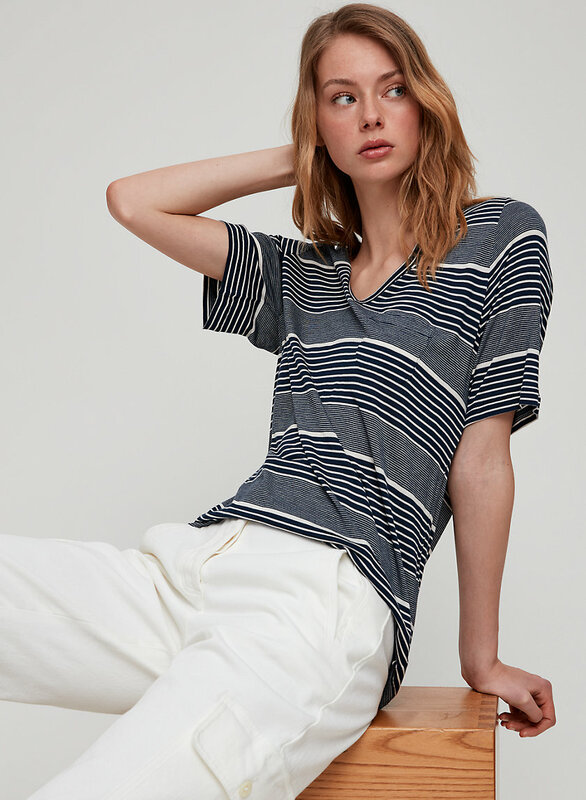 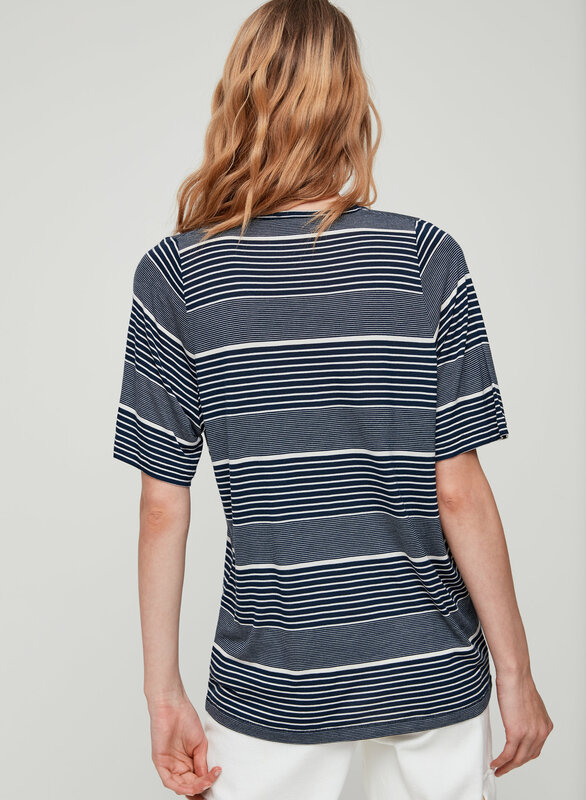 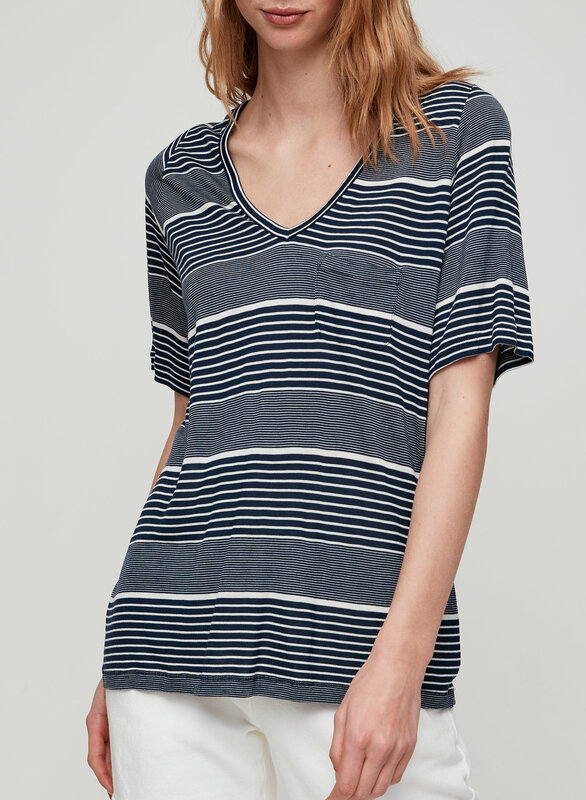 This is a short-sleeve, V-neck tee with a front pocket. 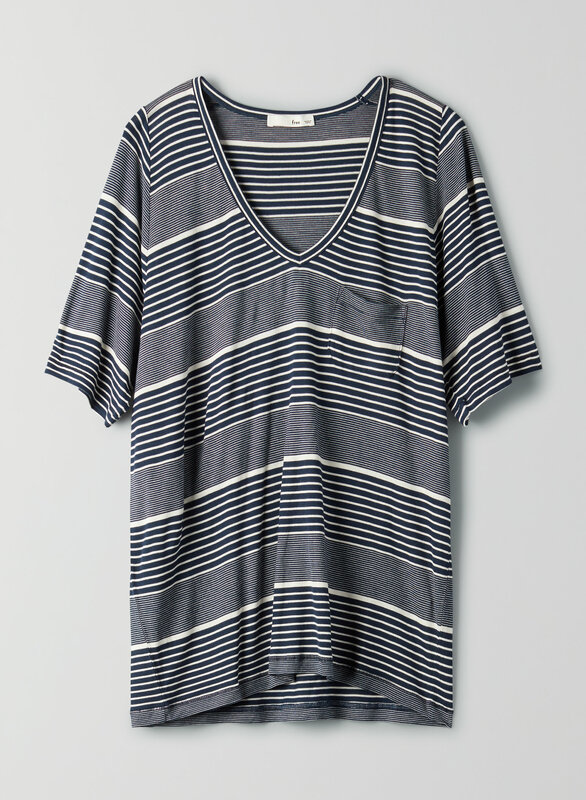 It's made with a soft, drapey fabric.